Edited by Vacilando. Last updated 7. October, 2016. Puzzler makes it easy to insert bits and pieces of Wikipedia content into Drupal, keeping the information fresh as improvements are done by the community of Wikipedia editors. This gives Drupal editors as well as developers a simple and precise method to include Wikipedia content in fields (text, textarea, even Display Suite), and in views, panels, blocks, templates, etc. Crucially, information inserted using Puzzler does not age. Depending on the caching period you specify, the included pieces of data will always get updated with fresh versions as they are edited by the Wikipedians. Gone are the times of copied-and-pasted texts dating from way back when! Content augmentation based on Wikipedia and other data sources is becoming widely used by many sites, small and large. Google, for one, shows the same data prominently on many of their search result pages. For example, try searching for Tarsier. The information you are likely to see highlighted in the box on the right comes from Wikipedia. And you can now easily build a section like that on your Drupal site using the Puzzler module. Embedding Wikipedia snippets and images are an ideal way to enrich and complete Drupal content, and to contribute to the general trend towards reuse instead of duplication of information. Token is the only additional module required. Download Puzzler and enable it like any other module. The configuration page at admin/config/services/puzzler provides some optional settings, such as the default cache period (before a fresh version of the data is fetched from Wikipedia), fallback language, etc. Puzzler's dashboard page at admin/config/services/puzzler/dashboard provides relevant additional data from the module, such as the number of currently cached Wikipedia API items (call them puzzles! ), the list of currently available tokens, etc. [puzzler:wikipedia-matching-url] => URL of the Wikipedia article whose title matches the title of the given node. [puzzler:wikipedia-matching-url-html] => HTML link to the Wikipedia article whose title matches the title of the given node. [puzzler:wikipedia-matching-title] => Title of the Wikipedia article whose title matches the title of the given node. [puzzler:wikipedia-matching-html] => HTML of the Wikipedia article whose title matches the title of the given node. [puzzler:wikipedia-matching-intro] => Introductory text of the Wikipedia article whose title matches the title of the given node. [puzzler:wikipedia-matching-image-url] => URL of the first image of the Wikipedia article whose title matches the title of the given node. [puzzler:wikipedia-matching-image-html] => HTML code to show the first image of the Wikipedia article whose title matches the title of the given node. Any of the above tokens can be extended by one more parameter — a custom title. Depending on use case, sometimes you will want to show Wikipedia information from a particular entry that is not (exactly) matching the title of your page. All you need to do is to add another colon and set the requested title manually. E.g. 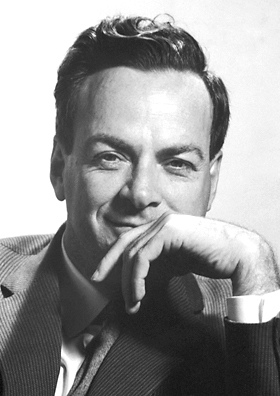 [puzzler:wikipedia-matching-intro:Richard Feynman] will retrieve the introduction section of the Wikipedia article on Richard Feynman regardless the title of your Drupal page. If the existing tokens don't get you what you need, definitely consider suggesting new ones via the issue queue — or use PHP to use Puzzler module functions directly. For more documentation and live examples, see the demo page. Q: Do I need to have a Wikipedia API account to retrieve data? A: Wikipedia API is free to use. Perceived abuse (e.g. too frequent calls) may be punished, so make sure you do not set the caching period too low. Q: What are the licensing conditions for embedded Wikipedia content? A: Wikipedia content is available under Creative Commons license CC-BY-SA 3.0. In short: you have to mention Wikipedia as the information source, and if you modify anything, redistribution must happen under the same or compatible license. Q: Do I need to edit and save an article to make it fetch a fresh version of data from Wikipedia? A: No. Tokens as well as PHP resolve information from Puzzler — either from cache (for the duration you have set), or fresh from Wikipedia. Q: My page shows text/image older than the cache period I set. A: Your page caching period may be longer or overlapping with that of Puzzler. We will be adding new tokens to this module over time. If you see yourself having to extract a particular kind of Wikipedia data over and over via PHP, make a suggestion for a new Puzzler token in the issue queue. It may be accepted much faster if you provide a patch as well! We are also actively working on using the Wikidata API in addition to the Wikipedia API. Other data APIs (non-Wikimedia) may be included as well in the future. This module also needs to be ported to Drupal 8. Help welcome! Contact the maintainer to propose your site for this list! Let's make this module better together! Ideas, patches and inspired co-maintainers welcome! Richard Phillips Feynman (; May 11, 1918 – February 15, 1988) was an American theoretical physicist, known for his work in the path integral formulation of quantum mechanics, the theory of quantum electrodynamics, and the physics of the superfluidity of supercooled liquid helium, as well as in particle physics for which he proposed the parton model. For his contributions to the development of quantum electrodynamics, Feynman, jointly with Julian Schwinger and Shin'ichirō Tomonaga, received the Nobel Prize in Physics in 1965. Feynman developed a widely used pictorial representation scheme for the mathematical expressions describing the behavior of subatomic particles, which later became known as Feynman diagrams. During his lifetime, Feynman became one of the best-known scientists in the world. In a 1999 poll of 130 leading physicists worldwide by the British journal Physics World he was ranked as one of the ten greatest physicists of all time. He assisted in the development of the atomic bomb during World War II and became known to a wide public in the 1980s as a member of the Rogers Commission, the panel that investigated the Space Shuttle Challenger disaster. Along with his work in theoretical physics, Feynman has been credited with pioneering the field of quantum computing and introducing the concept of nanotechnology. He held the Richard C. Tolman professorship in theoretical physics at the California Institute of Technology. Feynman was a keen popularizer of physics through both books and lectures including a 1959 talk on top-down nanotechnology called There's Plenty of Room at the Bottom and the three-volume publication of his undergraduate lectures, The Feynman Lectures on Physics. Feynman also became known through his semi-autobiographical books Surely You're Joking, Mr. Feynman! and What Do You Care What Other People Think? and books written about him such as Tuva or Bust! by Ralph Leighton and the biography Genius: The Life and Science of Richard Feynman by James Gleick. Socrate (en grec ancien : Σωκράτης / Sōkrátēs) est un philosophe grec du Ve siècle av. J.-C. (né vers -470/469, mort en -399). Il est connu comme l’un des créateurs de la philosophie morale. Socrate n’a laissé aucun écrit, mais sa pensée et sa réputation se sont transmises par des témoignages indirects. Ses disciples Platon et Xénophon ont notablement œuvré à maintenir l'image de leur maître, qui est mis en scène dans leurs œuvres respectives. Les philosophes Démétrios de Phalère, et Maxime de Tyr dans sa Neuvième Dissertation ont écrit que Socrate est mort à l’âge de 70 ans. Déjà renommé de son vivant, Socrate est devenu l’un des penseurs les plus illustres de l'histoire de la philosophie. Sa condamnation à mort et sa présence très fréquente dans les dialogues de Platon ont contribué à faire de lui une icône philosophique majeure. La figure de Socrate a été discutée, reprise, et réinterprétée jusqu'à l'époque contemporaine. Socrate est ainsi célèbre au-delà de la sphère philosophique, et son personnage entouré de légendes. En dépit de cette influence culturelle, très peu de choses sont connues avec certitude sur le Socrate historique. Les témoignages le concernant sont souvent discordants, et la restitution de la vie ou la pensée originelle de Socrate est une approche sur laquelle les spécialistes ne s'accordent pas. Puzzler is a #Drupal module embedding data elements from the #Wikipedia API — and keeping them up to date. Inspired and supported by @ewphp!